Richardson is one of the cities in Dallas Metro that has been experiencing a tremendous growth, especially after State Farm elected this city as it’s hub. 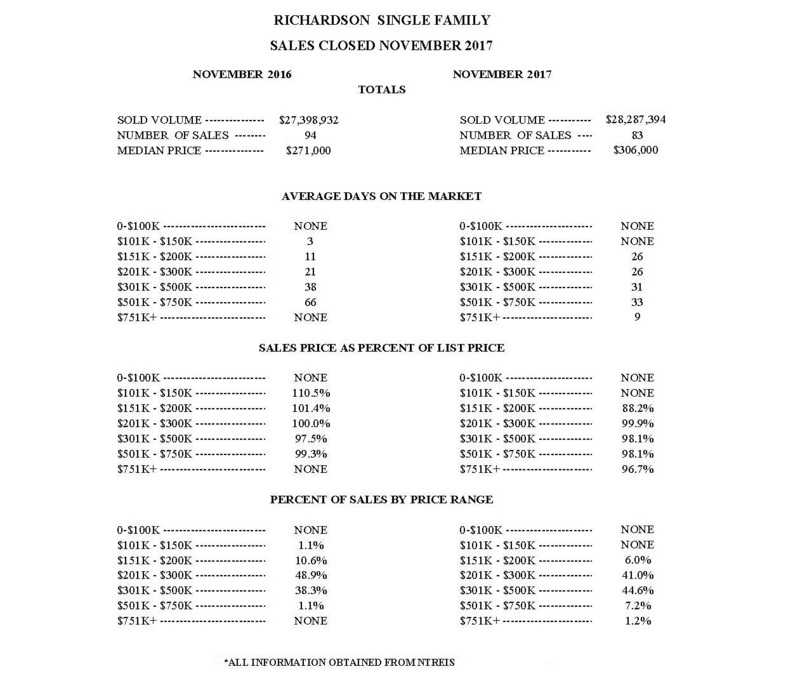 Richardson median home price jumped from $271,000 in November 2016 to a whopping $306,000 in November 2017. There is no home under $150k, and most homes are in the price range between $201k – $500k. Average days on the market is about a month regardless of the price of the home. If you are looking to sell or purchase real estate in Richardson and the surrounding area, I’m honored to have the opportunity to assist you.